Last year I was contacted by a lovely lady who had seen my artwork displayed in Denby Dale Tea Rooms. 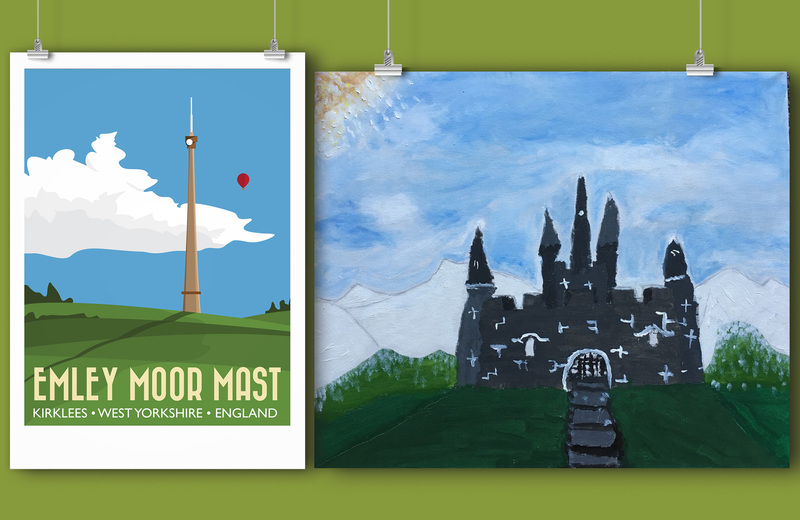 She told me that her 12yr old son loves to visit the cafe with her and sit by my Emley Moor Mast print. She told me that he was so taken with it, that when he was doing his Arts Award at school, he chose me (alongside his talented grandfather) as the artists who inspire him. To say I was touched by this was an understatement! I think whatever job you do in life, it’s such a warm feeling to know that we can inspire others and it is so special when people take the time to tell you. Thank you. I have received permission to show you a piece of this young man’s work and I think you’ll agree that he is very talented. Looks like I’ve got some competition. 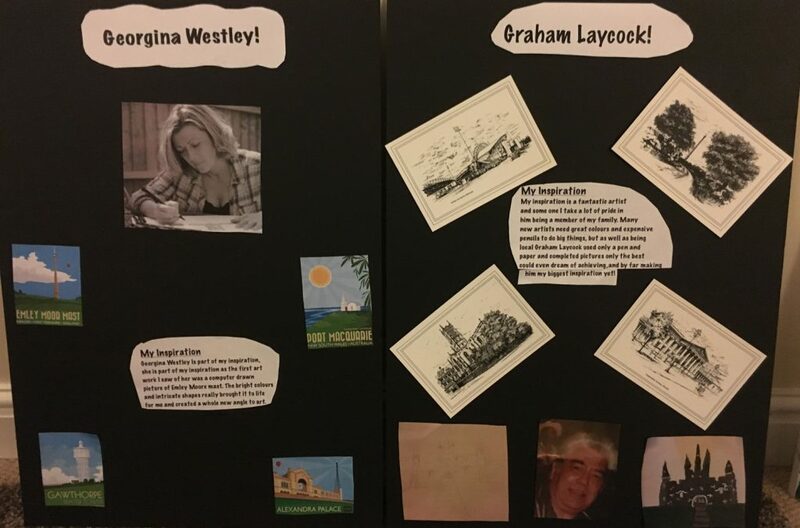 On the right of the inspiration board is the boy’s grandfather (who he sadly never got to meet). Take a closer look at those amazing hand drawn postcards – you can see creativity runs in the family.